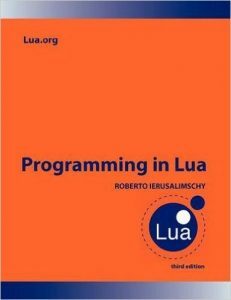 3rd Edition of programming in Lua. The 4th edition is also available . I’ve been on a mission lately to find something to use for game development other than Unity3D. Don’t get me wrong. I enjoy Unity development and C# is one of my favorite languages, but there are a few things that I don’t like about Unity. More than that though is the desire to learn something new. I decided to check out alternative game engines that use Lua (another of my favorite languages). What I’m looking for is an engine that gives me at a minimum support for building binaries for: Windows, MacOS, Android, iOS (bonus points for Html5 and Linux). Defold, Corona SDK, and Love2D were my first considerations. I’ve known about them for some time, but hadn’t taken the time to mess with them. Below are just a few things I liked/disliked about each of the engines. Note that these aren’t exhaustive lists by any means and are definitely missing things as I have not yet delved as deeply into any of them as I plan to. Very quick iteration time. You write code, save the file, and your changes are shown in a running project almost instantly. Some Love2D library developers think it is funny to name their libraries with suggestive names (because the framework is called “Love” 2D). That’s immature and frankly, it is somewhat of a turn off. Doesn’t provide and WYSIWYG tools and you must do all the lower level plumbing code yourself. Screen scaling, cameras, sprite batching, particle systems, etc. I have a side project in mind involving up to 4 simultaneous players which means joysticks are a must. I need joystick support. Good joystick support, and if you read anything above, you’ll know that Love2D has the others beat by a mile in this category. With Love2D there is even a built-in function to load a special joystick mapping file (courtesy of SDL) which describes any joysticks that are not supported by default. Very nice. So with that in mind, I decided to begin trekking dont the Love2D path to see what kind of progress I could make. I’ve created a few tutorial videos on Love2D the first of which can be found here. Depending on when you read this, there may be only one, but rest assured, there will be more. I’m enjoying using Lua to create games with, but I’m still not ready to jump the Unity3D ship completely. For now, the Lua-based game engines will be my side projects while my main projects will be Unity3d.